Deadweight tonnage (Dwt) - ? Diferent shot of this sailing vessel that is seen here anchored in Angra's bay. 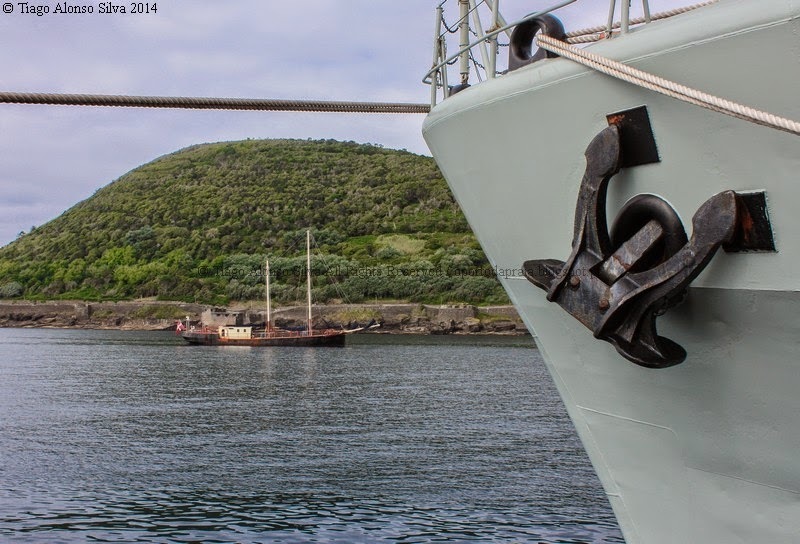 The bow is from the corvette NRP Jacinto Cândido.